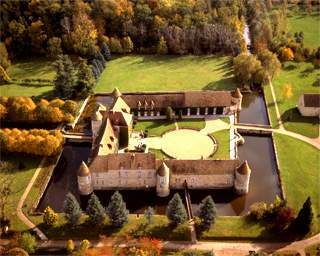 A medieval residence restored in the 17th century, the Chateau de Villiers-le-Mahieu has pride of place in the middle of magnificent 21 hectare wooded grounds. Surrounded by a moat, it seems to invite us to travel back in time. In this prestigious setting just 30 minutes from Paris La Défense, you will discover a 4 star hotel with 80 bedrooms blending charm and sophistication, and sumptuous reception rooms (from 30 to 220 m²) at garden level flooded with daylight, intended for the organisation of your seminars, conferences, work meetings and receptions. Come and enjoy our relaxation and leisure activities, and also enjoy exclusive times (personalised activities) combining strong feelings and discoveries for which our commercial team is at your disposal.